Make sure your package can compete on the shelf! Don't let your customers walk right by your product because the packaging is bad. 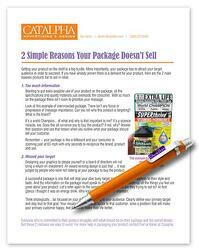 Download this free ePaper to learn the 2 simple mistakes that loose sales.